We had south-west wind here in Shirahama today, and it was warmer then yesterday. 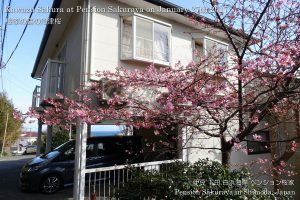 Sakura trees in our field are now blooming about 30% now! It’s much earlier to bloom this year than usual. 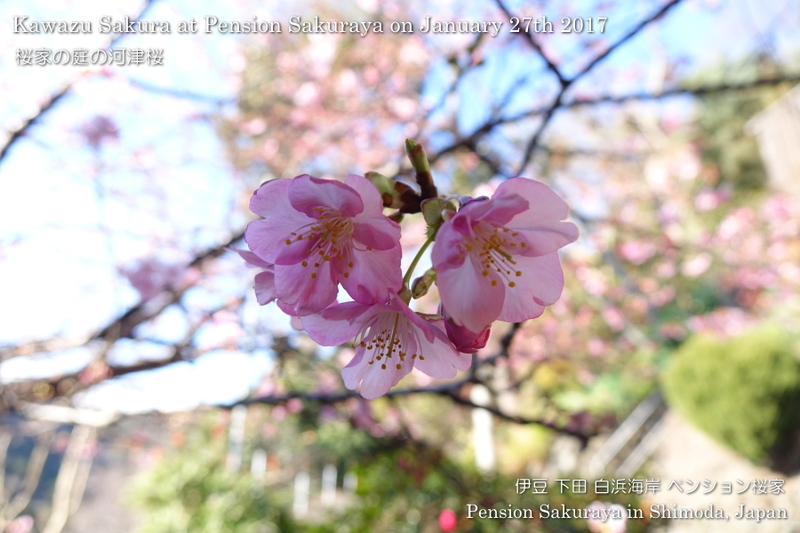 This entry was posted in Flower, Pension Sakuraya on 2017年1月27日 by izusakuraya. We went to Shirahama shrine today. 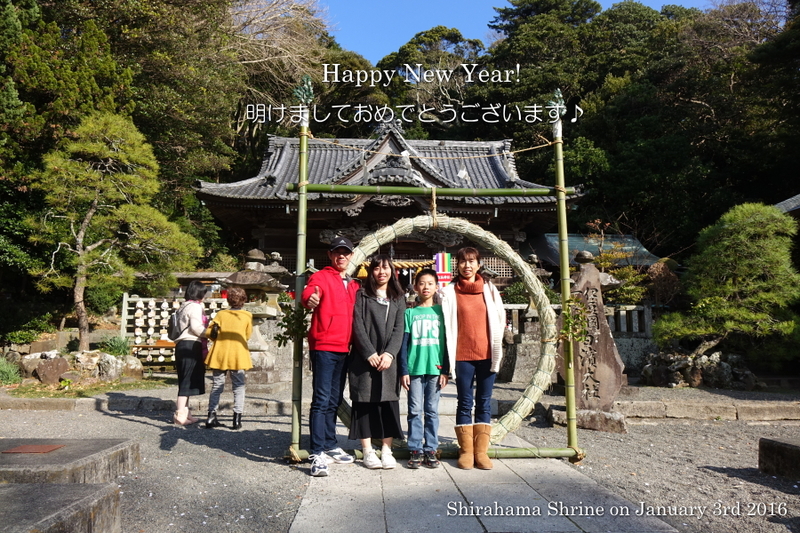 The most of Japanese go to shrine to pray for health and good luck at the beginning of the new year. 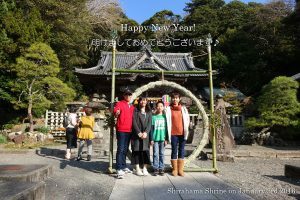 By the way, iIt had been sunny and warm during this new year holiday, so all of our customers were able to have good and relaxed time in Izu peninsula. 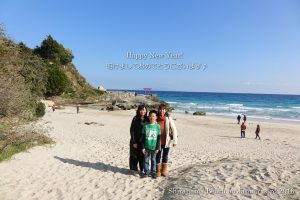 This entry was posted in beach, Family on 2017年1月4日 by izusakuraya. 2017/01/03 Thank you for staying. They came to Izu peinsula for the 1st time. 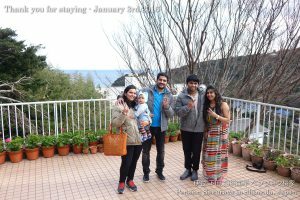 They took train to Shimizu station in Shizuoka Prefecutre and took ferry from Shimizu port to Toi port on the western side of Izu peninsula, and were able to see Mt. Fuji clearly on the way. After they checked out they went to Kawazu Seven Waterfalls. This entry was posted in Customers, Pension Sakuraya on 2017年1月4日 by izusakuraya.